Earning a degree in textile design in the early 90’s, Dawn began creating fabrics from hand carved blocks and transitioned to using these blocks in her mixed media paintings. For over twenty years she has held a full-time painting studio in Asheville, NC with numerous exhibitions around the United States. 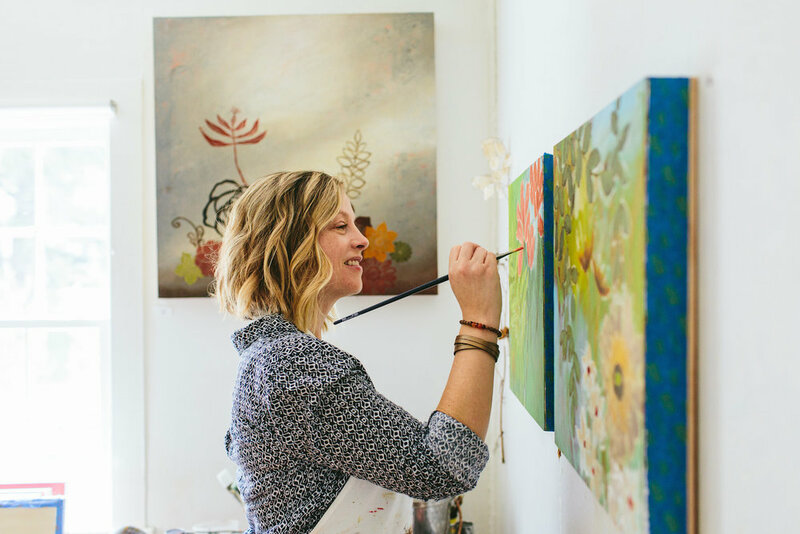 Her paintings are an exploration of color, texture and patterns with an emphasis on bold botanical imagery. Though her love of painting continues, she also missed working with fabrics. In 2015, Dawn made the decision to come full circle back to printing with the start of Dawn Rentz Textiles. 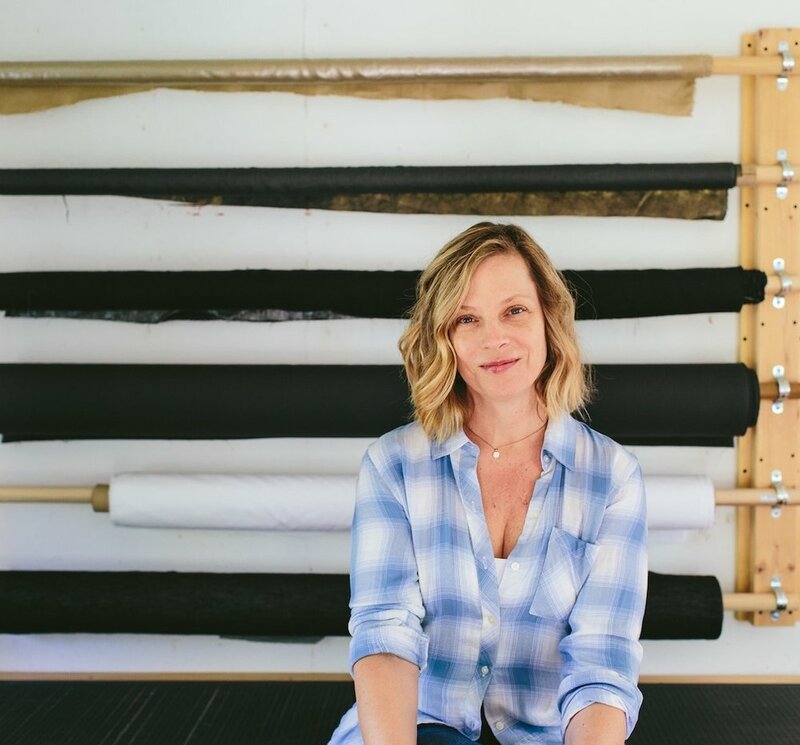 Originally started as hand-printed home linens, Dawn Rentz Textiles evolved into a focus on handbags and accessories combining rich metallic leathers with her hand-printed fabrics. The styles are simple and clean in design with minimal hardware and strong attention to detail. The printed patterns are a combination of bold, geometric, modern and organic shapes. All are inspired by by Dawn’s passion for nature and botanical imagery. The process behind our textiles involves turning block prints into screen prints and printing these patterns on both leather and canvas. All patterns are designed by Dawn starting out as a sketch and later carved out of rubber. They are then printed on paper and scanned into the computer where they are modified to be made into a screen print. All printing is done by hand in the studio.